20 years of experience as a trusted expert in Orthopedic Surgery and Sports Medicine has taught me a lot. Nearly 10 years I started writing articles for my first website. I found that most of the information online had a strong bias towards surgery, and I found that most of the information online was to difficult to understand. Over the last decade, I have been writing articles about various Orthopedic conditions, surgical procedures and even state of art techniques such as PRP injections. I update the information on this site as often as possible. I want you to have an understanding of what the evidence shows. As a trusted, busy regional expert in Sports Medicine, I have been fortunate to help many of you over the years through my office. I have always looked upon my website as a means of assisting a global audience, thirsty for knowledge, to better understand their injury, and understand the treatment options available. That way you can have the relevant information at your fingertips when you are meeting with your Orthopedic Surgeon. I have nearly 40 reviews on Vitals with an “Excellent” rating. I treat patients, not MRIs. MRIs do not have goals. While we look at MRI images, we never forget the big picture—people are the reason we do what we do. Deciding a treatment plan in sports medicine is much more than just an image. There are many age appropriate changes that occur in an MRI that do not require surgery. Dr. Luks will take that information into account when determining your treatment. A tear may not equal a surgery. Sometimes the most important decision we make is not to operate on a patient. Often times, people think that any tear in a meniscus or ligament means surgery. The reality is that decision is much more complicated and incorporates patient specifics, goals, expectations, and a host of other factors. In short, we only recommend surgery when we feel the potential benefits exceed the potential risks and your goals are achievable. And as discussed when I first started, this write-up in the NY Times demonstrates that my approach to repairing injuries to keep an athlete going remains intact. A Board-certified Orthopedic Surgeon specializing in Sports Medicine with over 20 years experience. Chief of Sports Medicine and Arthroscopy at WMC Health – University Orthopaedics (UOPC), a branch of Westchester Medical Center. Westchester Medical Center (Level I Trauma Center) – a major referral center for complex trauma, multi-ligament knee reconstructions, complex shoulder fractures, revision knee, and shoulder surgery, and other procedures. Shoulder: advanced arthroscopic reconstructions and revision surgery. Knee: advanced arthroscopic reconstruction + computer navigated, minimally invasive replacements. I have a strong interest and a lot of experience in handling patella dislocations – which are far more complex than most people think. 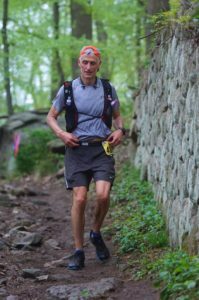 I am a trail endurance runner and an amateur cyclist. Find me on Strava and join me in my pursuit to always be a little better. I believe that humans are innately social… and as an extension, that health is social. Dr. Luks has been named as one of the top Sports Medicine Physicians in the United States, by US News and World Report. 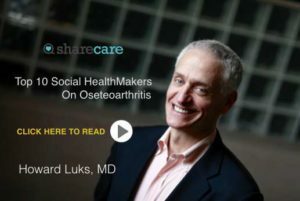 He has also been named as one of the Top 10 “Social Health Makers” for Osteoarthritis. 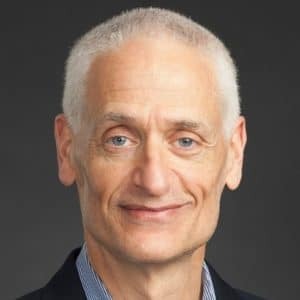 Dr. Luks has been named one of the top Sports Medicine Physicians in New York for nearly 10 years in a row and Dr. Luks was named one of Twitter’s Top Ten Doctors and served as an Advisory Board Member of the Mayo Clinic Center for Social Media for 3 years.